Lookie! A new mineral sunscreen with 18% Zinc Oxide and it goes by the name of an Ounce Of Prevention from Petite Marie Organics. Cute name isn’t it? I ordered this, along with a cleansing powder and the two products arrived from Switzerland, which the formerly UK-based company is now located. 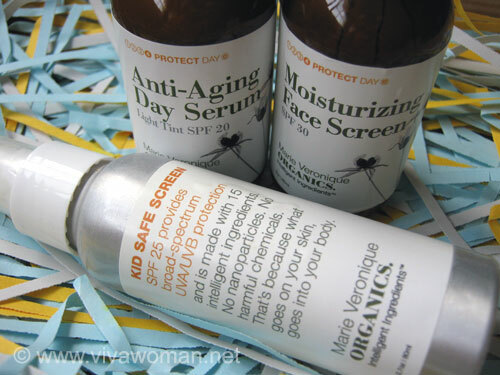 Today, I’ll just review the Ounce Of Prevention Mineral Anti-Aging Sun Cream SPF 30+, a product that some of you have been raving. 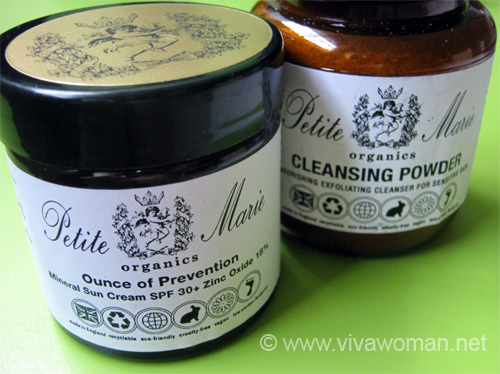 I know of Petite Marie Organics when they were first launched in the market but it is only now that I’ve got a chance to try their products. The brand actually reminds me a lot of Marie Veronique Organics, not only because they share the name “Marie” but also because of how their products are made. Products from Petite Marie Organics are free from synthetic chemicals, silicones, aluminum, perfumes, fragrances, and alcohol. 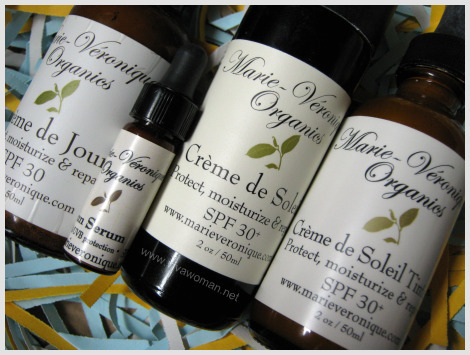 And interestingly, all Petite Marie Organics’ products are also stocked in small batches to ensure freshness. In terms of preservatives, the company uses essential oils, salts (sodium benzoate, potassium sorbate), milk sugars (gluconolactone), vitamins C and E, and calendula extract. Purified water, zinc oxide (18%), organic olive oil, cetearyl olivate (emulsifier), sorbitan olivate (emulsifier), organic shea butter, organic sea buckthorn oil, cetyl palmitate (emulsifier), sorbitan palmitate (emulsifier), organic Argan oil, organic Echinacea extract, organic calendula extract, Siberian ginseng extract, starflower oil, Arctic black currant oil, olive leaf extract, xanthan gum, green tea, lycopene, gluconolactone, sodium benzoate. 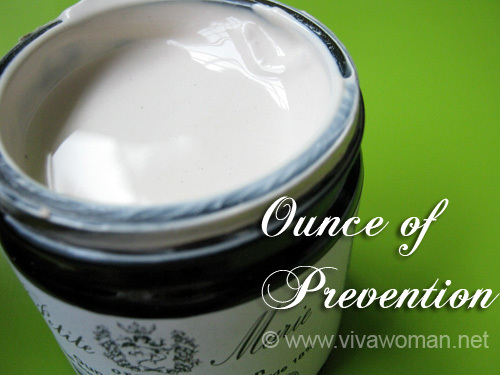 Ounce of Prevention Cream is a described as a complete anti-aging solution: a moisturizer, an anti-wrinkle antioxidant cream, and a natural mineral-based sun protection product containing pure, non-nanoparticle zinc oxide which your skin will quickly absorb without leaving a white residue. The zinc oxide is used at 18% concentration and hence, this product provides broad spectrum protection against both UVA and UVB rays. Additionally, both lycopene and green tea extract also help ward off free radicals and lycopene also encourages formation of pro-collagen in our skin. Other skin-protecting ingredients in their sun cream include argan, starflower, and black currant oils which support the skin with high levels of anti-inflammatory gamma-linoleic acids. Natural vitamin E and gluconolactone (natural sugar molecule) help moisturize the skin. This product looks quite a bit like Marie Veronique Organics Moisturizing Facescreen in terms of color. However, in terms of texture, it is a lot creamier and therefore smoother when it comes to application. Smell wise, it is also quite mild. I also don’t see any whitecast when I apply this product on my fair skin. In fact, it doesn’t show up when I test it on my hands, which are darker in tone. After using it for some weeks, the product did not break me out too. And finally, the ingredients look good and the product is also cheaper. Okay, I really dislike the packaging and I don’t understand why this product cannot be contained in a pump bottle. In the end, I have to decant the cream into a smaller bottle. This product is also rather drying on my combination skin. I can feel my cheeks tightening up immediately upon application. Hence, this product definitely cannot be used alone. That’s not a big issue for me since I always use a layer of protective oil before applying my moisturizer. With this product though, I found myself using more of the oil just so that my skin is better moisturized to buffer the dryness. Plus, I can only use a very thin layer of this sun cream as anything more, my skin will feel very dry. I really would like to love this product but I can only say that I like it to some extent. It seems that the formulation might have changed somewhat because I read a review that the old formulation was more moisturizing. So if this sun cream is made more moisturizing, it is very promising especially for those of you who have commented that Marie Veronique Organics was difficult to apply. Would I re-purchase this item? Unlikely. Unless I’m convinced that this formulation is made more moisturizing. I can not stand the dryness & white cast of zinc, especially when using on my body. I feel like I always have to wear makeup over it to balance things out & bring life into my face, so these studies make me happy. Let me know what you think though, as I value your opinion. how’s the finishing like after you applied onto your skin? is it matte? Hi, may I know if this product flakes as easily as or is more application friendly than MVO sunscreen? I am almost finishing with the MVO Sunscreen but is hesitant about repurchase and is considering this as replacement. I really like the MVO sunscreen ingredients but the application, i.e. flaking, tacky finish, poor base for makeup, is just so challenging esp. in the morning rush to work! It’s easier to apply but it’s drying after applying. I reckon some pple have issues with MVO Facescreen. Do you exfoliate your skin regularly? I have some readers who had issues using MVO and after some exfoliation, the product applies better. I actually find it a great makeup base. hey thanks for reviewing this… I’ve always been curious about this brand. at first, i even confused it with MVO due to the similarities in the name and packaging, just like what you mentioned on your post. I’m pretty happy with MVO for now, though. 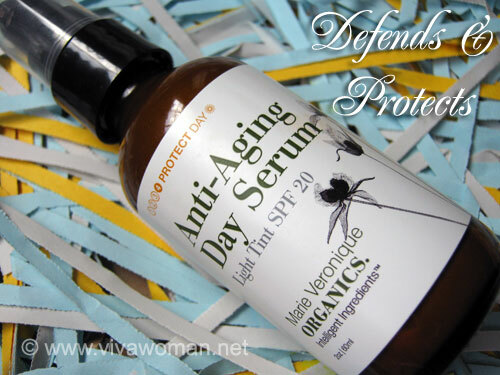 I’m using the Anti-Aging serum most of the time and the application is definitely much easier. If you check their line of products, they do have a few stuff that seem interesting. I like their ingredients too. May try other stuff from their line down the road. I am interested in trying this out, just as much as the Marie Veronique Organics one. They sound like very good products and I would like to try out organic/natural sunscreens instead of the usual chemical and titanium dioxide sunscreens available here 🙁 If only shipping to Malaysia wasn’t so expensive and it was available locally! For the MVO one, they offer free international shipping over US$250. Maybe can combine with others? Wow. This is definitely cheaper than MVO. The MVO sunscreen works well for me. But after sweating, I’ll get this white cast on my face. When I apply it, it does make my skin slightly fairer than it is. And if I accidentally apply too much (2 pumps are enough for the whole face) I’ll look like a cast from twilight. The only difference is MVO has 20% Zinc oxide and PMO has 18% Zince oxide. Anyway, when my MVO stash runs out, I will give this a try. Thanks for the heads up. If your skin isn’t too dry, this might work for you. I quite like it except that I must remember not to use too much. What a lovely review, thanks a lot! We’ve been dealing with the Marie Veronique Organics/ Petite Marie Organics controversy for a while now. 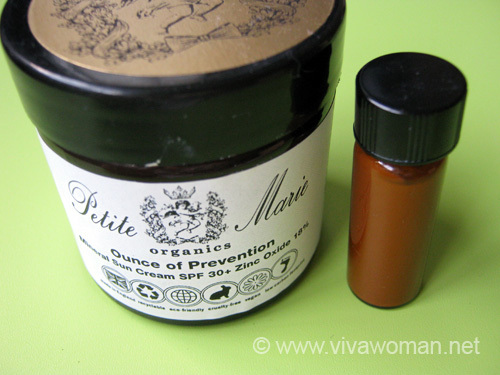 Petite Marie Organics was established in 2008 in the United Kingdom, and it has been sold in amber glass containers with simple white labels ever since. We feel that some of our concepts and ingredients as well as the name of the brand itself “inspired” Marie Veronique’s products. 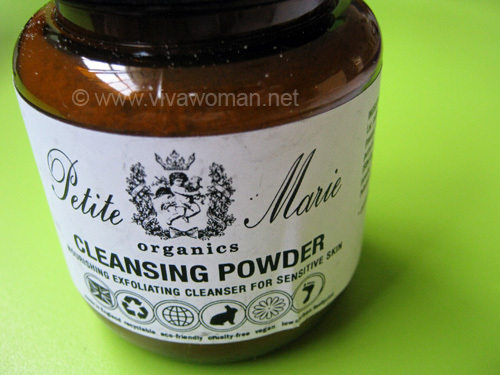 Since the transatlantic litigation would be very costly and most likely fruitless, we are changing the name and the concept of Petite Marie Organics starting October 2011. The new primary range would now become Swiss Organics (and yes, it’s patented now). Some of the new products are already introduced on our website. We plan to keep Petite Marie Organics’ bestsellers (including Ounce of Prevention) but the rest of the product lineup will undergo complete revamp. Oh I did not think there would be a litigation. I also did not think the resemblance is intentional by either parties. But the name is really close and so it’s good you’re changing it. Swiss Organics sounds nice too. I’ll take a look at the new products at your website Julie. It does seem as though it would be better in a pump bottle rather than a jar, but maybe there is some reason for it. It looks beautifully creamy in your photo. Julie Gabriel, the creator of this line, also wrote two books about green beauty that are real gems. She really does things with class and integrity. What sort of bottle did you decant it into please? I was thinking of decanting it into a flip top silicone squeeze bottle and closing the lid after squeezing out the product before any air could be sucked in but if I could get it into and out of a dark glass airless pump bottle or indeed any pump bottle that would be even better. There is a serious issue with this company taking money but not sending goods, responding to emails and ignoring refund requests. Oh dear…I had readers writing to ask me about this too. What is wrong with them? I’ll write an email to them too and if not, I’ve to update this post and possibly warn others on FB. Hi Sesame. First off, I just want to tell you how much I appreciate your posts on sunscreens. Until recently, I haven’t been paying much attention to the ingredients used in spf moisturizers/sunscreens. I learned a lot from reading your reviews on various sunscreens and other skincare posts. Thank you. I need your help because I’m on the hunt for a great daily moisturizing sunscreen with a high level of zinc oxide. I used to apply on Aveeno Moisturizer spf 15 but I found out it had methylparaben in it. And because a higher spf is recommended, I no longer use it. I considered buying your favorite sunscreen, the Marie Veronique moisturizing face screen spf 30, but it was too expensive for a little amount. I thought about buying DeVita but like some of your readers said, the product left their skin burned and feeling unprotected. I am so conflicted in what to buy after doing the research I’ve done on various sunscreens that I just don’t know what to do. Preferably, I would like an organic physical sunscreen as opposed to a chemical sunscreen, which can age skin over long-term use. Any advice and a couple of choices would be great. It’s very tough to find a good one with high zinc oxide. I know Neal’s Yard has something but I was told it’s a tad drying. 100% Pure too.